Portland’s ChoralArt Camerata, under the direction of Robert Russell, will make their first appearance in Ogunquit in the lovely setting of the Barn Gallery. 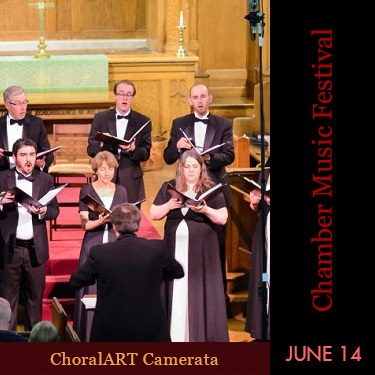 A chamber chorus of about 15 singers, Camerata features strong singers and independent musicians; their pristine, resonant sound and utter musicality have garnered regional critical acclaim. Like all the ensembles under the ChoralArt umbrella, Camerata is dedicated to advancing the tradition of artistic excellence in choral singing. Their program will be listed on this site in the near future. Tickets to this performance available now on this website. Tickets may also be purchased at the Barn Gallery, Ogunquit Camera Shop, Dunaway Center, Ogunquit Playhouse Downtown Box Office, and Ogunquit Welcome Center beginning three weeks prior to the performance. Free parking at the Gallery. The Camerata principally performs a cappella repertory from the Renaissance and Modern eras with occasional forays into ethnic and folk music. Favorite composers include Ēriks Ešenvalds, Morten Lauridsen, James MacMillan, Paul Mealor, David Conte, and Stephen Paulus. Music Director Robert Russell came to Portland in 1979 as professor of music at the University of Southern Maine and music director of ChoralArt. He concluded a 36-year tenure at USM in 2015 and was named professor emeritus. His time in Portland has been rich, the highlights many. 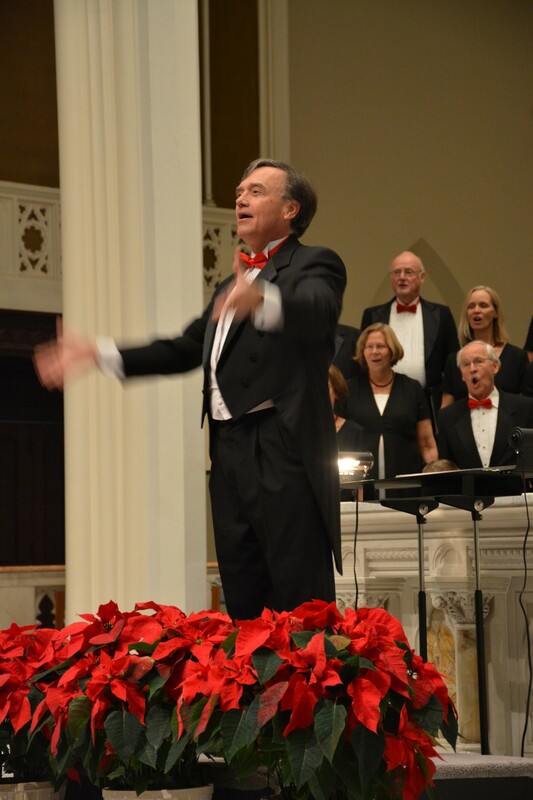 ChoralArt has presented numerous concerts with orchestra, many under the auspices of the Portland Symphony Orchestra. The first Messiah performance in 1982 stunned us all, as we filled City Hall Auditorium (Merrill’s predecessor) with patrons and glorious music. Other notable performances include Verdi’s Requiem, Mahler’s Symphony No. 2, Bach’s Mass in B Minor, Bach’s Passion According to St. John, Mendelssohn’s Elijah, and the Brahms Requiem several times, including a riveting performance in 1991 with distinguished guest conductor Robert Shaw. Several collaborative concerts with Portland Ballet, including a dynamic Carmina Burana in 2003, as well as concerts with Friends of the Kotzschmar Organ, Southern Maine Symphony Orchestra, USM Wind Ensemble, Musica de Filia and many other regional organization stand out.